Hikvision is a Leading brand in CCTV Camera Systems in Middle East Africa Region. Hikvision design and develop Innovative CCTV Security Systems with a wide range of product offering. Hikvision’s complete CCTV product range include IP Camera, NVR, Analog HD Cameras, Analog Cameras, Speed Dome Cameras, Video Management Software and Acess Control Systems. Every organization must have a strong and reliable security policy. It includes who is covered, what is protected and what protective measures must be in place to ensure proper protection of its assets, environment, and employees. The advancement of technology gave way to modern surveillance that almost leads to the death of traditional surveillance system. Now the business began to accept CCTV security surveillance as a measure to enhance its protection. These systems could help the business to reduce the security lapses in a surveillance at a greater level and the alliance with these systems must be focused to cover the following aspects. Businesses engaged in the traditional security will find difficult to shift to CCTV security surveillance initially. The economic advantages and the outcomes it produces prepared organizations to change over to CCTV security surveillance. If you are looking for a security surveillance solution, take a chance on the right CCTV solution provider who is capable of providing a high-quality system at an affordable rate. Presumably, installing the system brings you better results and help to do the job better. Specialized in CCTV security systems, Hikvision is reckoned as the leading manufacturers of high-quality CCTV cameras including IP cameras, analog cameras and recording systems including Network Digital recorders and Digital Video Recorder. Vector Digitals Specialize in tailored security solutions for all kinds of business and homes across UAE. Our significant expertise in offering CCTV surveillance with Hikvision security products ensures an impeccable solution to your organization and the testimonials from our clients in Dubai speaks for themselves. The advantages that IP surveillance system bring is many in terms of quality and productivity. The technology that pushes Hikvision IP cameras is quite brilliant that it has the advanced features and functionalities making the surveillance more refined. The Hikvision IP cameras come in varied types and where it includes the thermal cameras, panoramic camera, phasing out the camera and much more. The features make it sense for the organizations to go for the IP cameras where it retains good quality resolution, High Definition real time video, Power over Ethernet facility, Solid design, Night vision, Good frame rate, Weatherproof casing and so on. The Hikvision analog cameras would be the choice of a source for a good analog surveillance system. It’s cost effective factor and the good performance against various conditions make it perfect for business of any sizes. High-quality Hikvision Analog Cameras extends the benefit of producing desired results. When it comes to the types and models, it includes Turbo HD camera, CCD camera HD-SDI camera. It supports PAL/NTSC Signal system, Night Vision, Smart IR and good dynamic range, good video image output, Good for low light conditions, wide operating temperature range and so on. Digital Video Recorder is for Analog Surveillance system. The more advanced form of analog Surveillance system utilizes Digital Video Recorder for high-quality recording and storage. It provides an advanced recording with a multitude of performance options and features. Hikvision DVR allows to record digitally and the various digital technologies including video analytics and remote access over the networks make it a favorable choice for the Analog surveillance system. It comes in varied models including turbo HD DVR, Mobile DVR, and Analog DVR etc…It has the features of good video compression, high-resolution real-time recording, HD-SDI interfaces, synchronous playback, HDD quota and group management and much more. The New Hikvishion Cameras are Turbo HD cameras offer ultra low lite performance and using the new H265+ Video Compression Technology.These Hikvision CCTV cameras offer very low bandwidth usage and minimum storage requirements.The Power over Coaxial cable technology further minimize the headaches involved in CCTV installation by eliminating the power cabling.The New Hikvision Technology enable transmit UHD video and power over the same coaxial cable.The maximum resolution offer in TURBO HD 4 is 8 megapixel.As one of the Top HIKVISION Distributor in Dubai, we offer best prices on new Hikvision CCTV Products. Call us today to get a Quote. Vector Digitals is reckoned as the experts in planning and deployment of the Hikvision CCTV security systems in Dubai. We enjoy providing service in the region of Abu Dhabi, Umm Al Quwain, Ras-Al-Khaimah, Sharjah, Umm Al Quwain, Al Ain, and Ajman. We pride ourselves on using Hikvision products to develop complete security solution to organization or homes. Particularly in a city like Dubai, installing a complete security system is essential, which not only increases the productivity but also keep an eye on your assets. With the Hikvision products, Vector Digitals manages to deliver solutions to all kind of industries. Apart from the IP cameras and networks, Hikvision presents other range of security products as well which can be best utilized for designing a complete CCTV security system in Dubai. Vector Digitals is a leading provider of CCTV Security systems and IT solutions. We offer HIKVISION CCTV an integrated CCTV solution designed as a a fully scalable solution suitable for projects ranging from single office installations to multi-building deployments. 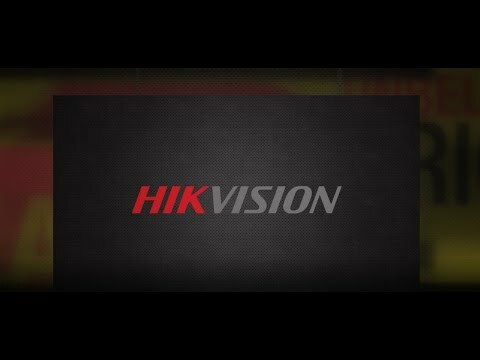 The features an intuitive Web interface that can be easily configured and managed by Security, IT, or Human Resources departments.As one of the top Distributor of HIKVISION CCTV in Dubai, UAE we always strive to support our resellers and partners with best price access as well as support. Hikvision CCTV known to be a leading worldwide market leader in the security industry. Hikvision possess the world’s largest R&D team and state-of-art manufacturing facilities. Both allow Hikvision’s suppliers and customers the benefit of world-class products that are designed with cutting-edge technology.